← My Favorite Things Today. What Is It About Socks… ? Do you know how hard it is to take pictures of your own feet? Check out the diamonds on the toes! 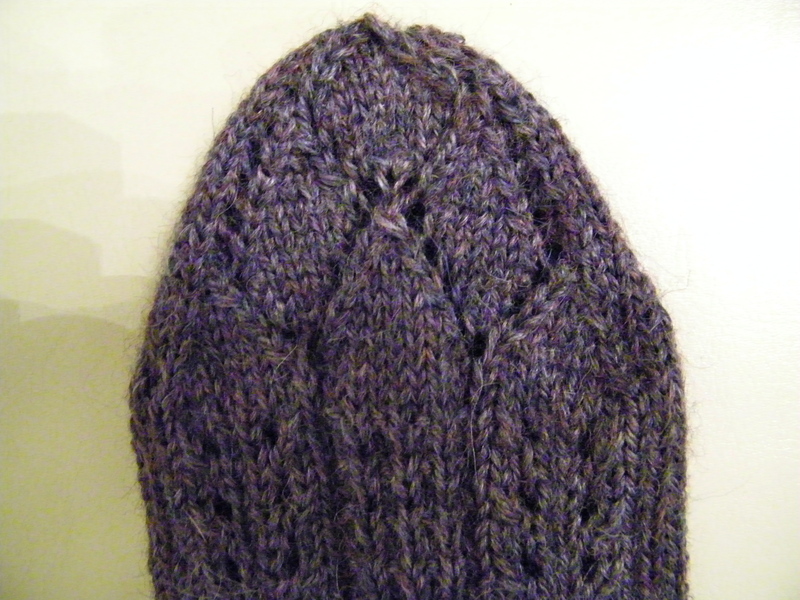 Here's that Welsh heel. Glad I didn't give up on learning this new technique. And it's quite comfy! 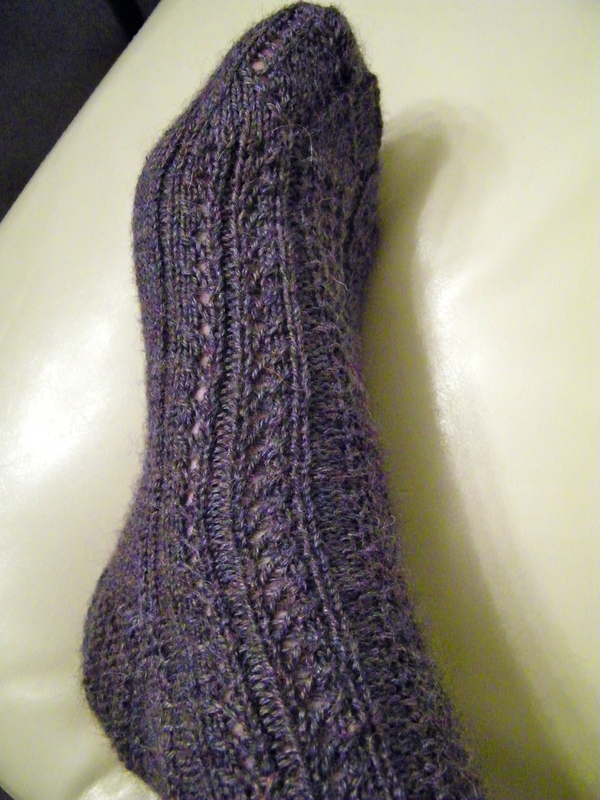 What is it about sock knitting that’s so rewarding? I love knitting just about everything, but there’s something about making your way through each section of a sock that’s just… so… comforting. 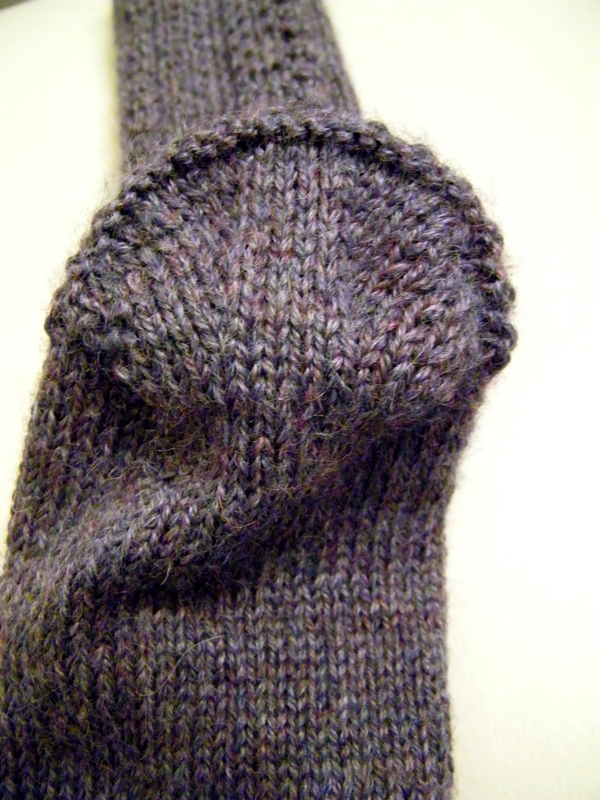 When I first attempted the knitted sock back in 2007, I thought the whole process was so elusive and mysterious – very much the “If-I-can-knit-socks-I-can-knit-anything” mentality. It may have lost some of the original mystique, but none of the joy or sense of accomplishment when I’m wearing the finished product, or when my family wears theirs. I’ve heard other knitters say that they don’t knit socks because they don’t want to spend time on something that no one will see. I look at it like beautiful lingerie – no one else may see it, but I know it’s there. And sometimes that’s enough.